After losing her husband to cancer around the same time she herself was diagnosed with multiple myeloma, an incurable blood cancer, you might think a woman left to raise three teenagers on her own would crumble. But Sally Kalksma took her anger out on, well, stairs. She channeled her emotions into stair-climbing competitions, racing up some of the world’s most notable buildings like the Empire State and the Eiffel Tower. She is also writing a book called Life Gets in the Way about her trials and her ability to see humor in anything, including her own circumstances. 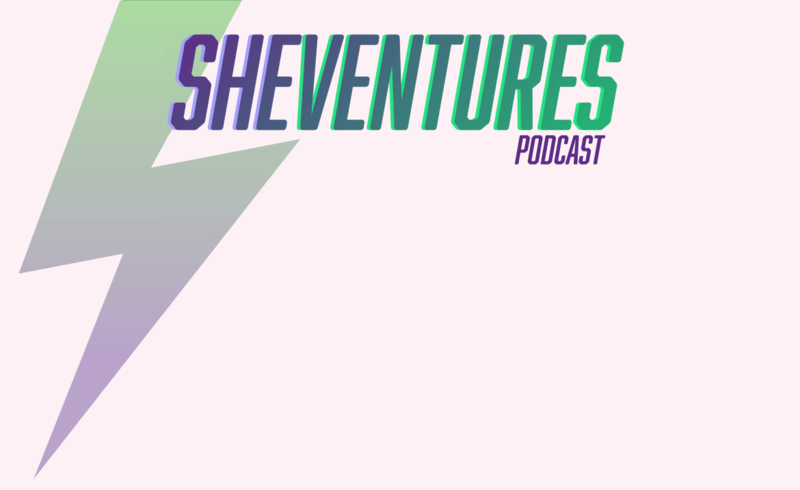 Listen to Kalksma’s infectious energy as she takes you through how to cope with loss, cancer, and 600 floors’ worth of stairs on this episode of SheVentures. 6:42 —Sally Kalksma scaled back her “craziness” when the reality of her and her husband’s illnesses became too real. Learn why she thinks sacrificing little things for health insurance is so important. 9:04 — Even though her husband’s life expectancy was halved from check-up to check-up, he held on until Thanksgiving to spend it with his family one more time. Hear how Kalksma handled this along with her own illness. 12:17 — Find out what advice Kalksma would give to anybody who loses a partner. She has tips on how to cope with it both financially and emotionally. 19:23 — Kalksma climbs stairs to keep her mind and body fit. Discover how she got involved in this venture, which would see her climb 86 floors in the invitation-only Empire State Building Run-Up. 31:45 — For a woman who ran multiple marathons and tackled 600 floors in her stair climbing career, being confined to a hospital bed can’t have been easy. Kalksma discusses what she did to keep her mind and body sane. 33:42 — Discover the secrets to facing the financial realities of a cancer diagnosis, as well as what you can do to lower or handle the costs, whatever they may be. 44:53 — Has Kalksma’s story inspired you to get involved in stair-climbing? Listen as she tells you all you need to know to get involved. 52:15 — You’re probably wondering: “How does Kalksma stay so positive?” She reveals all and discusses the importance of creating small, attainable goals for yourself. You don’t have to climb 600 floors, but you can do something that’s big for you.